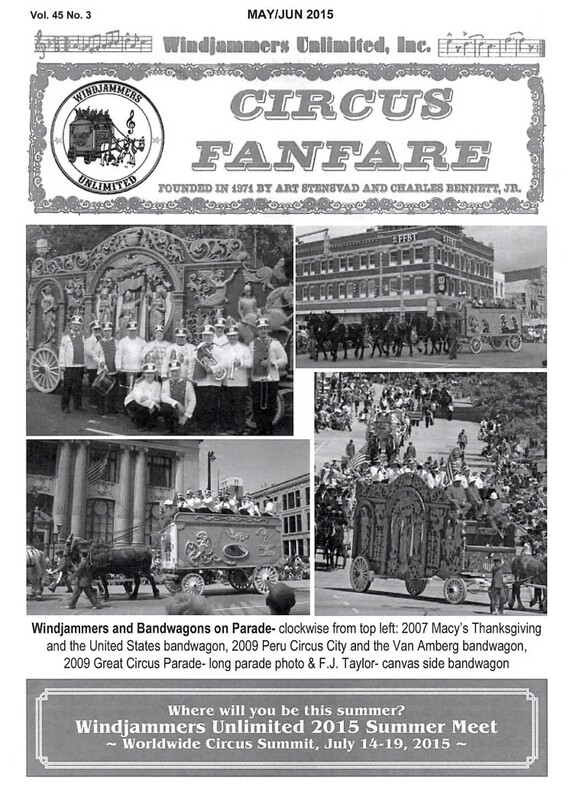 The official publication of the society is “Circus Fanfare”. 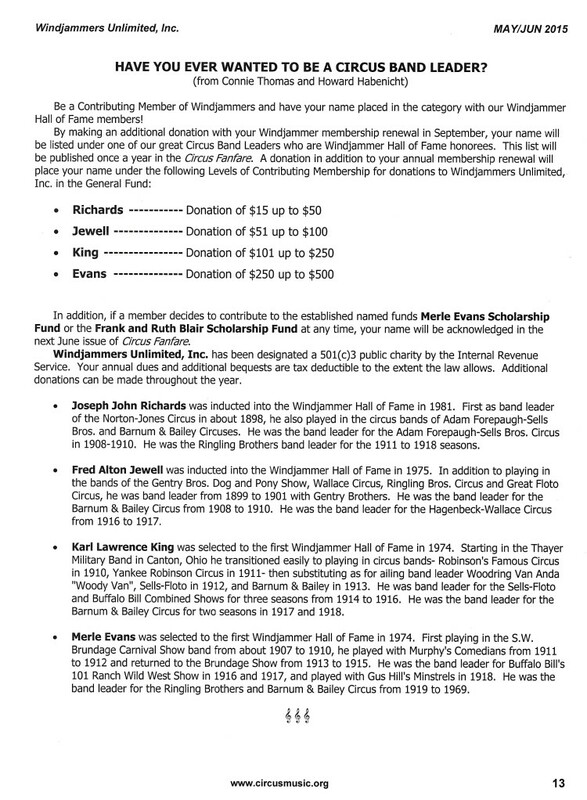 This newsletter is produced bi-monthly, and distributed to society members. It features interesting pictures and stories of circus bands and their musicians, stories of mud shows, traveling circuses, Shrine circuses, repertories of circus band advertisements, and general society news.